Here’s a recipe I’ve been meaning to put up for awhile. 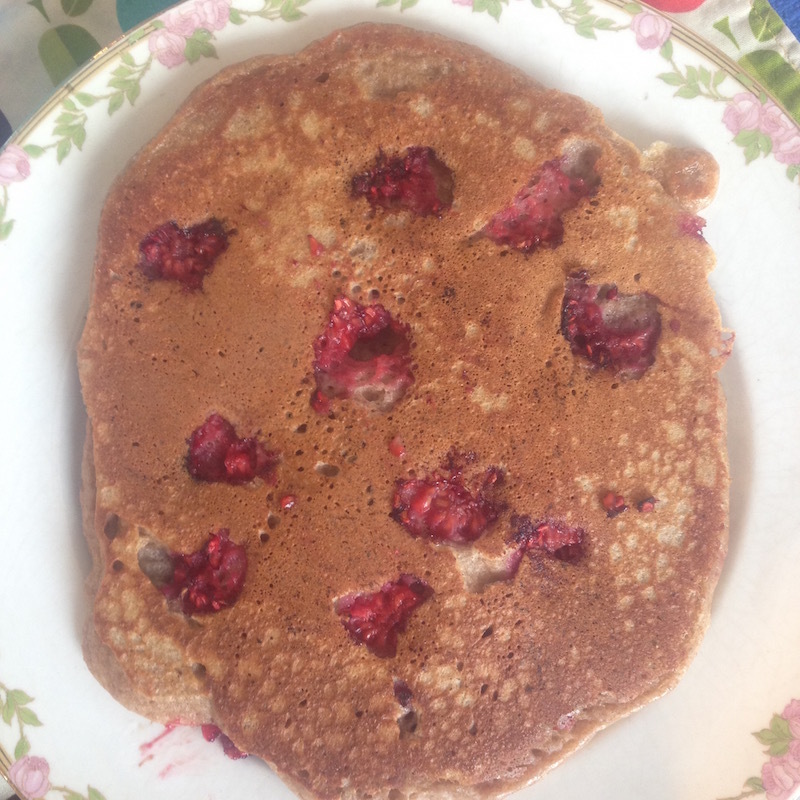 If you can keep from eating your raspberries until you get home, you may get a chance to make delicious raspberry pancakes! Also, this recipe explains how to soak the flour in kefir so that the pancakes are easier to digest. This recipe is somewhat based on the one by Sally Fallon from her book, Nourishing Traditions. Check it out! 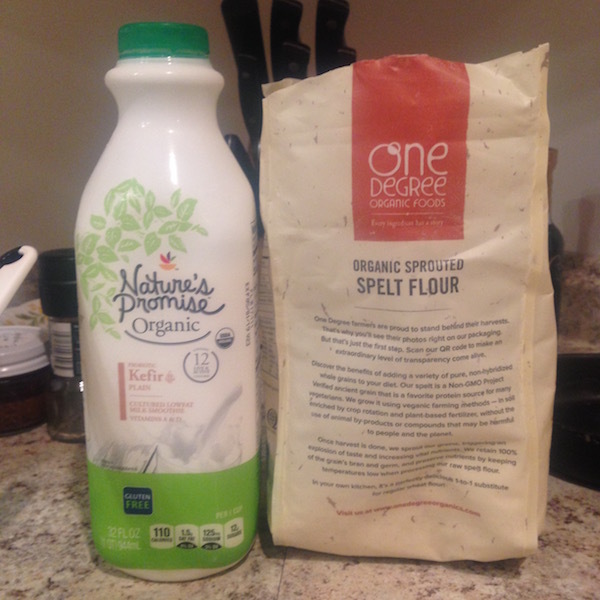 The night before, mix together flour and kefir. Then place in the oven overnight. Don’t turn the oven on. The oven is simply a safe place for the mixture to sit, while the beneficial bacteria in the kefir starts to break down the flour. This process results in a more digestible pancake. 2. 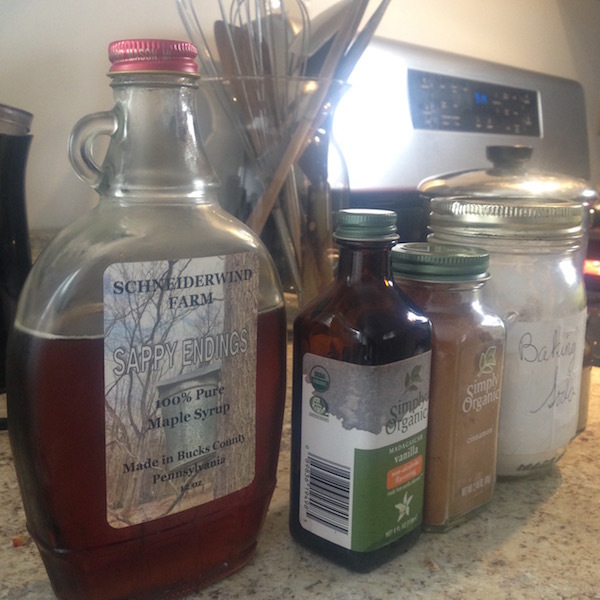 In the morning, retrieve the kefir/flour mix from the oven, and assemble the rest of your ingredients. 3. 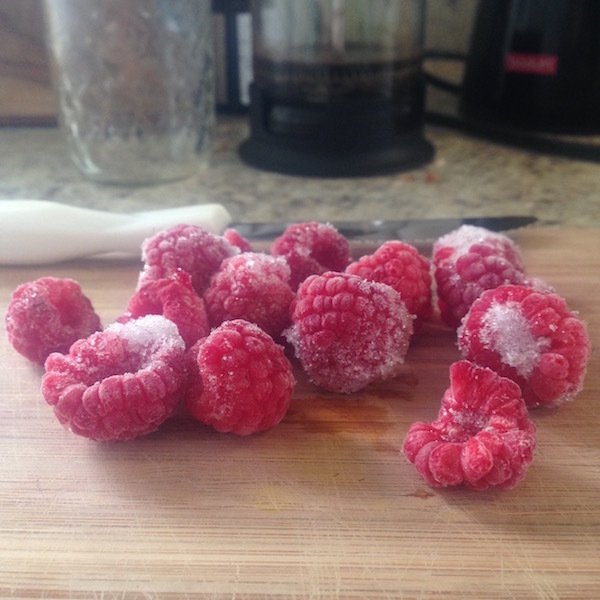 If your raspberries are frozen, you can take them out of the freezer to thaw for a few minutes, then halve them. 4. 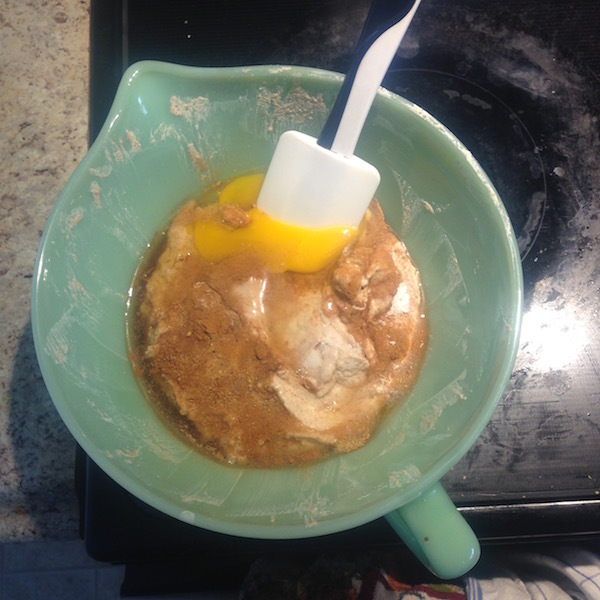 In the flour/kefir bowl, mix in the baking soda, salt, cinnamon, vanilla, maple syrup, and the egg. Stir it with a bit of a whipping motion so that air bubbles are infused into the batter. This will make the pancakes fluffier. 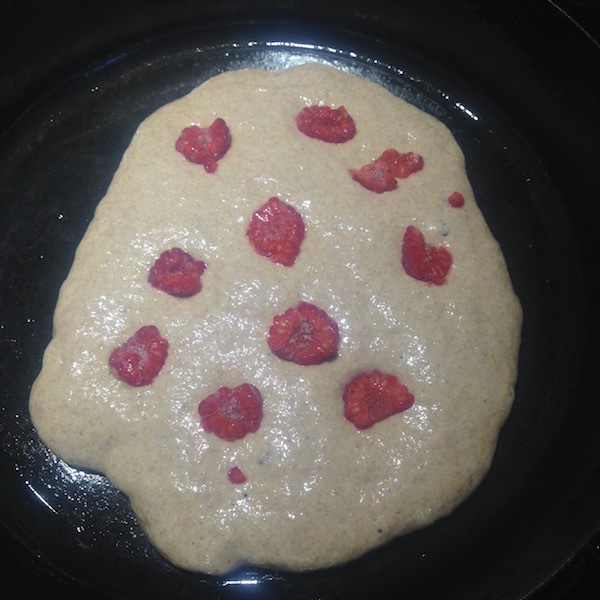 Sometimes, I’ll also add a dusting of ground cardamom to give the pancakes a special spice. 5. 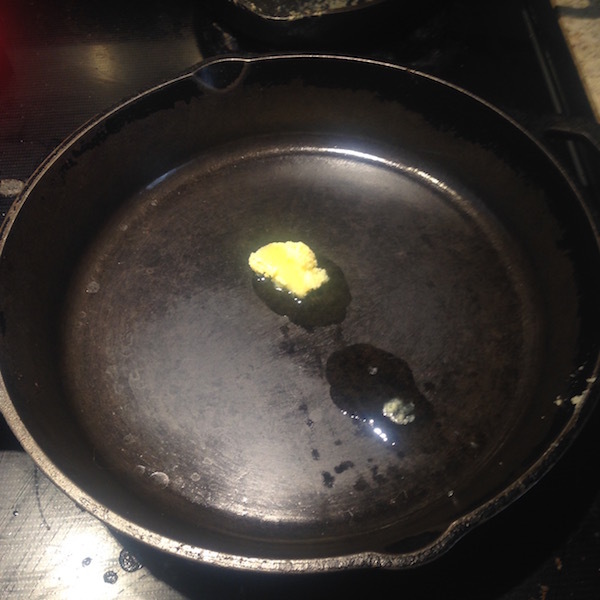 In a cast iron skillet, begin melting ghee or coconut oil. These types of fats have a higher smoke point and will help you to avoid having a smoky kitchen. 6. 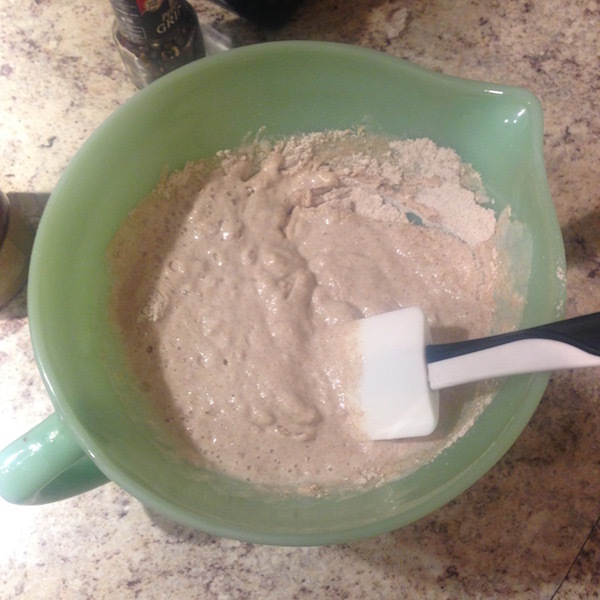 Pour in a small circle of pancake batter. 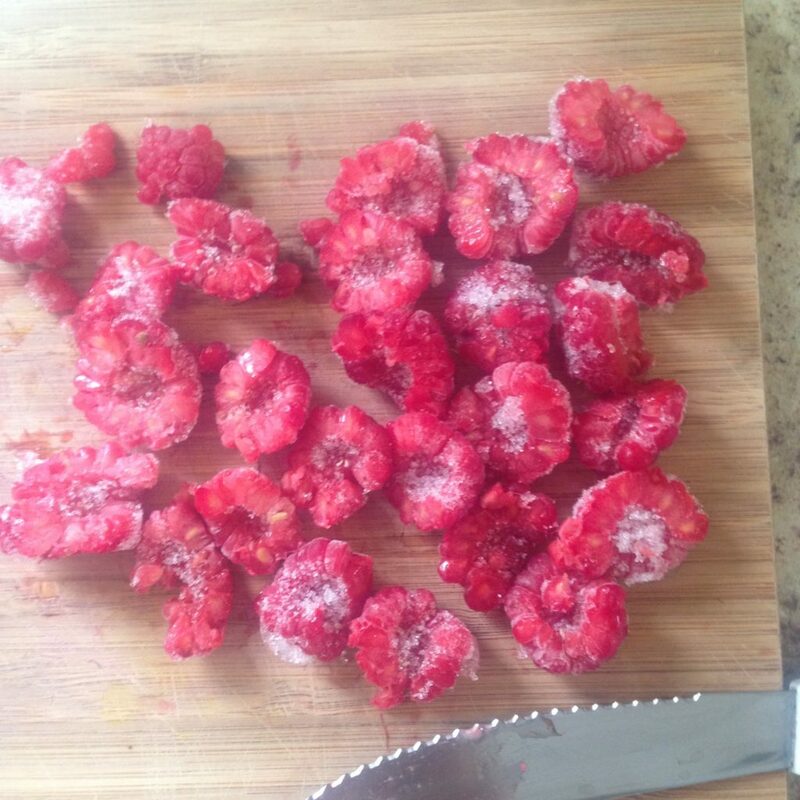 And then drop in the halves of raspberries. Cook until many of the bubbles pop, and until the edges of the pancake start to dry. 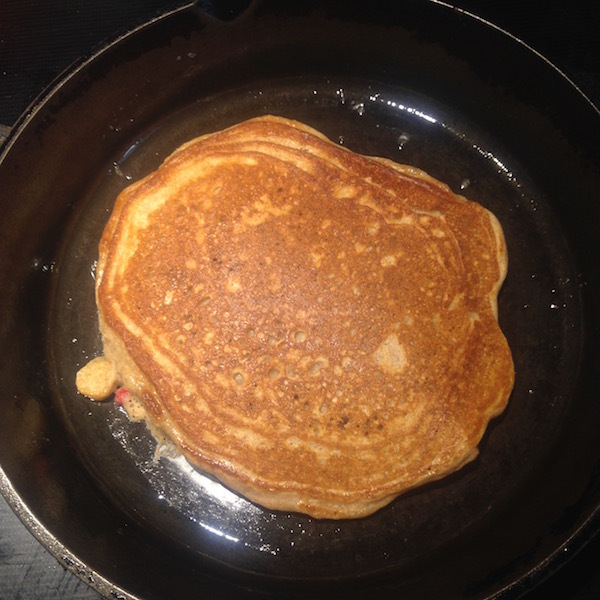 Then flip the pancake and finish cooking. 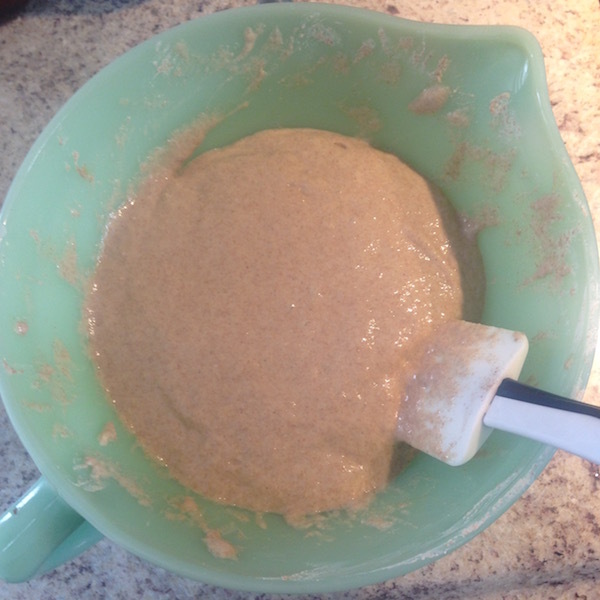 The batter should make 3 medium-large pancakes, which is perfect for 2 people. If you know you need more, feel free to double or triple the recipe. Enjoy!